Choosing a mortgage lender is one of the most important decisions for any real estate purchase. Once you make this choice and find a home to fall in love with, you’re likely going to feel like you’re just along for the ride and trying to keep up with a crush of decisions and paperwork in trying to get to closing with as few headaches and ancillary costs as possible. The good news is that you generally only need about a week to a month to figure out who’s going to work for you. It really depends on how much research you’ve already done and how many phone calls/meetings you have time to take. Some homeowners use the existing relationship with their commercial bank to skip over a wider search for mortgage lenders. This can save you time and hassles, but it could also cost end up costing you thousands of dollars by missing out on a more desirable home loan. Terms and Structure: The most important thing to understand is the basic terms and structure of the loan. Most homebuyers opt for a 30-year fixed loan. Adjustable rate mortgages are known for being especially risky and for their role in the economic and housing market collapse of 2008. The first test of any prospective mortgage lender/broker should be gathering your basic financial information, laying out the reasonable options, and then clearly explaining what type of home loan would work best for you and why. PMI Terms: PMI is the insurance you pay to protect the lender from default and foreclosure, while the property remains a valuation risk. Thus, the big advantage of making at least a 20% down payment is that you don’t need PMI on the mortgage. There have been big changes to PMI terms over the last several years. FHA loans in particular may have strict and unfriendly PMI terms, but even non-FHA loans may have different rules than in the past for loan-to-value ratios and timeline qualifications for removing PMI from your mortgage payment. Interest Rate and APR: Once you know you’re making an apples-to-apples comparison, this is sort of the score sheet. The interest rate is just what it sounds like and can have a bigger-than-expected effect on your mortgage payment and the total cost of the mortgage. It’s also a moving target that depends on the market for home loans just before the loan is finalized and the interest rate can be “locked in.” The APR is, arguably, an even better indicator as it takes into consideration loan fees and closing costs to generate a total annual percentage rate for the loan. Closing Costs and Delays: Closing costs and loan fees will likely get discussed along the way, but it’s pretty much never too early to discuss the closing process. Ask what sort of documentation will be needed and what the most common causes are for delays in closing—delays which can be costly to the buyer. If you have a target month in mind, discuss a specific timeline. If we’re trying to buy a home and close in June, when would need to have an appraisal and complete the approval process? This can help you choose a lender and recognize any potential obstacles before it’s too late in the process to do anything about it. Wait until you’re serious about choosing a lender before authorizing anyone to do a credit check. Here’s why: Your credit gets dinged whenever someone runs a credit check, but with this caveat. FICO allows multiple lenders to ask for and receive your credit report for a 14-day window and your credit will only get dinged the once. This can also be a good way to acknowledge in your own mind that it’s time to get serious about choosing a lender and potentially buying a home or real estate property. What happens if you simply don’t have the time to do this research when choosing a mortgage lender? This is one of the best and most common reasons to work with a mortgage broker, who will quickly size up your financial situation and real estate goals. The broker can then make some recommendations and work with the preferred lender to approve your mortgage. 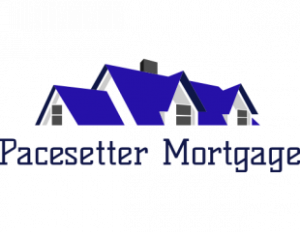 Now, you’ll obviously still have to search for and choose a mortgage broker, but finding a trusted broker is usually a lot easier than talking about the legalese and different programs that are available from a dozen, or so, different lenders.